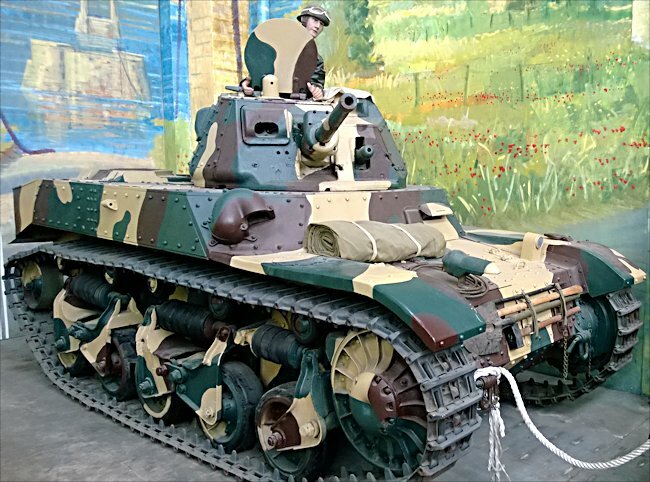 This AMC 35 French WW2 medium cavalry Tank ACG1 can be found at the French Tank Museum in Saumur in the Loire Valley. The Museum is called Musée des Blindés ou Association des Amis du Musée des Blindés, 1043, route de Fontevraud, 49400 Saumur, France www.museedesblindes.fr . The word Blindés means armoured. The full name of this light tank is "Automitrailleuse de Combat Renault modèle 1935". In English that roughly translate as military combat car. It was viewed by the French as more of an armoured car, a cavalry vehicle rather than a heavy main battle tank like the Char B1. The letter A in the name AMC 35 comes from Auto; M from Miitrailleuse; C from Combat and the number 35 from the year of commission 1935. The French Army only took possession of 17 AMC 35 tanks. This AMC 35 French WW2 medium cavalry Tank was knocked out by German shells. I have circled the entry points. Belgiam army began to mobilise just before Hitler attacked Poland. By May 1940. They had gathered 18 infantry divisions, 2 divisions of Chasseurs Ardennais (partly motorised), and 2 motorised cavalry divisions, totaling 650,000 men. These divisions were supported by 1338 artillery pieces, but they only had a few armoured vehicles, which included the French built AMC 35 light tank. Around 100 vehicles were produced but most were sold to the Belgium Army who designated them ACG1. The Belgians also possessed forty-two T15 tanks, although dubbed armoured cars, they were actually fully tracked tanks with a 13.2mm machine gun. 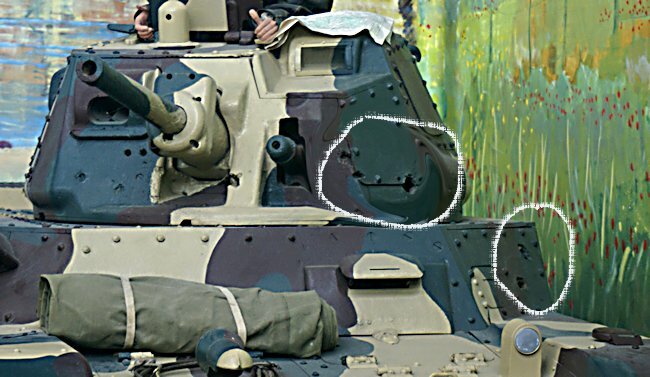 They had two hundred T13 tank hunters armed with the 47mm anti-tank gun plus a coaxial FN30 machine gun in the turret. Their 47mm towed anti-tank gun was more powerful than the standard German 37mm anti-tank gun of 1940.